It is an Italian sports brand that was created by the Italian tennis player Sergio Tacchini in 1966. By its launching, the brand created the DNA of tennis. With the quality and style of its clothes, it was liked by sports lovers. With its professional and innovative vision, the brand became international in the 70s. Enjoying a global fame for about 50 years, it has met tennis champions and many famous sports players in fields like kayak, Formula 1 and golf. Examples include Novak Djokovic, Jimmy Connors, Vitas Gerulaitis, Ilie Năstase, Mats Wilander, John McEnroe, Martina Navratilova, Sergi Bruguera, Pat Cash, and Martina Hingis. Gentlemen who prefer Sergio Tacchini are energetic champions who care for their life quality, love performing sports, follow fashion and adapt it to their daily life, and always reflect their styles in each moment of their lives. 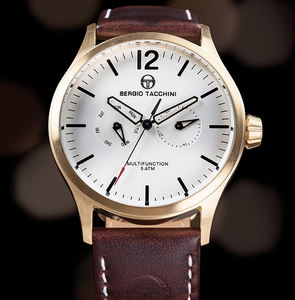 Its watches are produced in very high quality standards. All of the products are specially produced for Sergio Tacchini and they use a very high quality 316 L stainless steel material. They are 10-Atm waterproof. In the leather strapped models, specially produced real leather was used. All the products contain antireflective glass.For his last collection, Sergio Tacchini worked with Christian Mikkelsen, who is famous for his minimalist and modern designs. The Swarovski stones and stainless steel used for this special collection have showed off difference. Sergio Tacchini watches consist of 4 main collections. 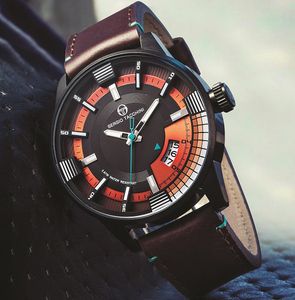 These practical multifunctional watches easily complement the image of an urban stylish guy, for whom time and its expressiveness are valuable. 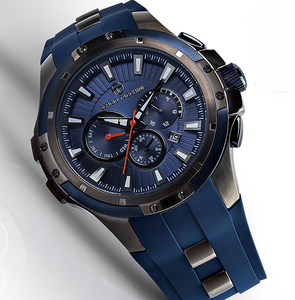 EnsuringSergio Takkini, demonstrating the naturalness of the classic appearance in his City collection, was convinced that the owners of such watches with a sophisticated design have a certain strict image. And if you combine the design of classic models with modern technology, you can get a truly fashionable watch, which, however, it is convenient to wear every day. All models are equipped with 316L stainless steel bracelets. that its users gain a very powerful image with its watches with sophisticated designs, Sergio Tacchini also displays the naturality of classical appearance in its City collection. 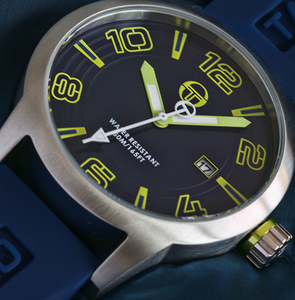 Blending classical watch designs with modern technology, the collection offers both image and usability. The models feature 316 L stainless steel. ReflectReflecting in their development the individuality of each model, following the traditions of a living and rebellious spirit, Sergio Takkini, nevertheless, retains his style in the collection of Archivio. You can find in this collection sports and dynamic models in various combinations, both with straps made of genuine leather, and with bracelets made of stainless steel 316 L.ing in its designs its identity that follows trends with a lively and rebellious spirit, Sergio Tacchini maintains its style with the Archivio series. 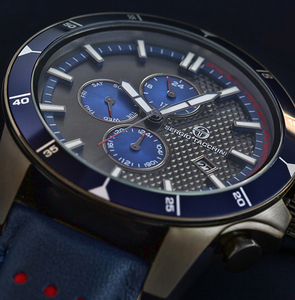 The sports and dynamic models meet us in different combinations with real leather strap and 316 L stainless steel. Self-confident, splendid and sharp lines are highlighted in this collection. When you wear it in your wrist, its designs that integrate with your own identity will display your difference. The collection features different case designs including big square, angled and oval. With the real leather, 316 L stainless steel and silicon materials that it uses in its watch models, it offers opportunities for different combinations in creating style. You can find models which will attract the attention of those who want to reveal their free spirit in the Heritech series. A stylish combination in design and laconic execution is an ideal everyday accessory for a modern man.